Earlier this morning Chris Walker of CBC Radio’s morning show “DayBreak South” introduced journalist Bob Keating and his feature story about a 2,500 kilometre journey being made by electric bicycle. 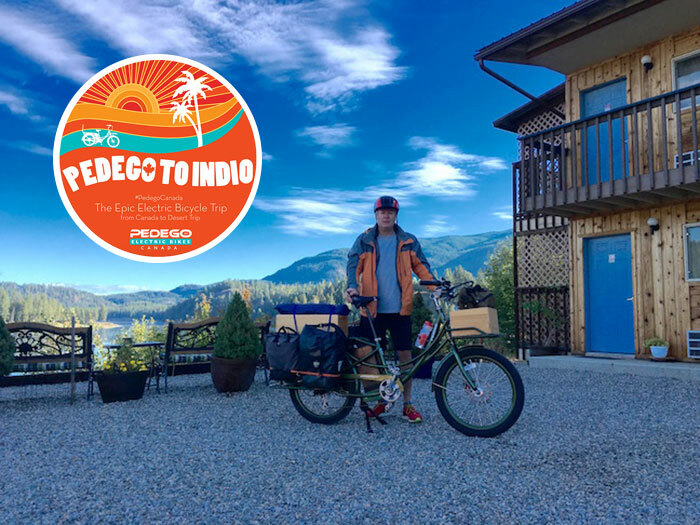 In the story Bob interviews Nelson, BC, native Jon Langille to learn why he wants to ride his Pedego Stretch electric cargo bike across four US states to attend Desert Trip, a music festival that will feature classic rockers such as the Rolling Stones, The Who, Bob Dylan and Neil Young. He learns that Jon has always been a music festival fan and that this particular concert (which happens in October) is history in the making. Bob also inquires about Jon’s electric bicycle saying it looks “sturdy” and Jon replies, “It’s a really robust bike…it’s strong and powerful.” In fact, the Pedego Stretch electric bike is one of the strongest and most versatile cargo bikes on the planet that’s able to carry heavy loads both on its custom front rack (which Jon has kitted out with a wine box for easy storage) and on the elongated back rack. 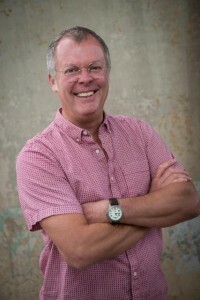 Jon Langille photographed 5 days before his departure. And what Jon is doing has never been done before. This marks the first time any Canadian has embarked on such a long journey with the Pedego Stretch electric bike, the versatile cargo bike introduced by Pedego in 2015. Since then Pedego has been named the #1 selling brand of electric bikes in North America and the Stretch is the most popular cargo bike.